Paul Chenderlin is a graduate of Moeller High School. He received his MBA from Xavier University, his BS from Thomas More College, and his Associate Degree from the University of Cincinnati. Mr. Chenderlin’s previous work experience includes serving as the General Manager for Rural Metro Ambulance of Central Ohio, the former owner of TLG Electronics, and the Business Unit Manager, the Marketing Director, and Sales Manager for Xerox Medical Systems. In his current capacity, Mr. Chenderlin is responsible for the transportation of students and adults enrolled in programs for the Franklin County Board of Developmental Disabilities. He is the former Director-at-Large for OAPT, and also a member of the Central Ohio Transit Authority (COTA) Mobility Board. 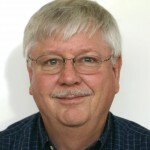 He serves as coordinator of the Ohio DD Transportation Directors’ group. He is a member of the FCBDD Behavioral Support Committee, a member of Clean Fuels Ohio, and a former member of the Ohio Medical Transportation Association. Mr. Chenderlin serves/served on advisory committees for the Ohio Department of Education, the Educational Service Center of Central Ohio, the Ohio Ambulance Association, and the Mid-Ohio Regional Planning Commission (MORPC). Mr. Chenderlin adds, the Franklin County Board of Developmental Disabilities is a leader in the use of clean technology, a 3-Star Certified Green Fleet through Clean Fuels Ohio, and was recognized as one of the top 100 Best Clean Fleets in 2009.